HO KNOWETH WHETHER thou are come to the kingdom for such a time as this?” was the challenge given to Queen Esther by Mordecai centuries ago. Today the Holy Spirit is still whispering this same message to Church of God women. To deny the power of the ministry of women is to deny one of the great plans of God. Women were given a prominent place in the Bible. Queen Esther was raised up by God to save the Jewish people from tragedy. Deborah was appointed judge over Israel in a time of crisis. Mary, chosen by God to give birth to the Saviour, gave women a place of esteem in the world. Mary and Martha were privileged to entertain Christ in their home on various occasions. Dorcas, a woman of good works, took her needle and relieved the poor of Joppa, thus becoming the originator of the love movement which has caused women through the centuries to supply clothing for needy people. Through the ages God has raised up women for His service because they have a tremendous power in the world to either bless or scar the lives of all whom they touch. Today Church of God women have been meeting God’s conditions so that He might breathe His Holy Spirit into them that they might be useful in His service. Sunday, October 1, the thirtieth anniversary of the Ladies Willing Worker Band (LWWB) of the Church of God, the North Cleveland ladies opened the services of a week of revival-Missions Emphasis Week. 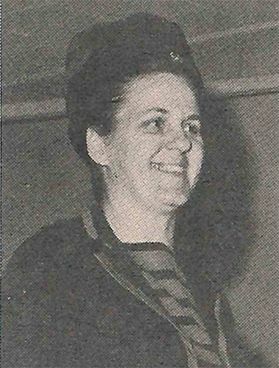 Mrs. Charles W. Conn, international president of the Ladies Willing Workers, introduced the program. She said, “I am happy to present the North Cleveland Church of God LWWB. The work of our ladies in this local church has ranged from carrying the gospel to the ends of the earth to giving a cup of water in Jesus’ name. I am overwhelmed by the love given to those in need. Love in action! Is this not what the church is all about?” She then introduced the various ladies’ circles of the church-the Dorcas, Deborah, Geneva, and Ellen Circles. Reports were presented by the secretaries of these organizations. All of the reporters thrilled the con­gregation as they read of the activities of their group. Some of their works include such worthy projects as assisting churches in needy areas, raising money for the building of a new church, selling cookbooks, sponsoring spaghetti suppers, organizing bake sales, selling pecans, giving gifts to orphan girls, buying robes for the youth choir, giving playground equip­ment for children at the neighborhood service center, helping sponsor Lee Singers’ tour to Europe, sup­porting native students in foreign countries, giving to needy families, cooking in emergency situations, sending money to the mission field, buying clothing for return missionaries, operating a meal barrel for the poor, helping churches in poverty-stricken areas, helping worthy students through seminary, sending flowers to sick people, making toys for children in foreign countries, holding prayer meetings every morn­ing. 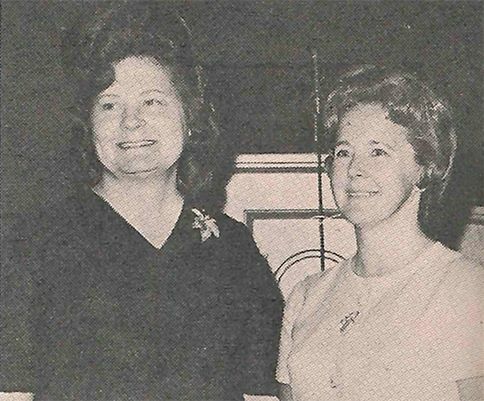 Associate Pastor C. E. French introduced the morn­ing speaker as “a lady upon whose life the hand of God rests, Mrs. Jim McClain.” As she stepped to the platform, the people were aware of her anointing for the message. She so beautifully sang “Jesus, I Love You,” and blessed the people. 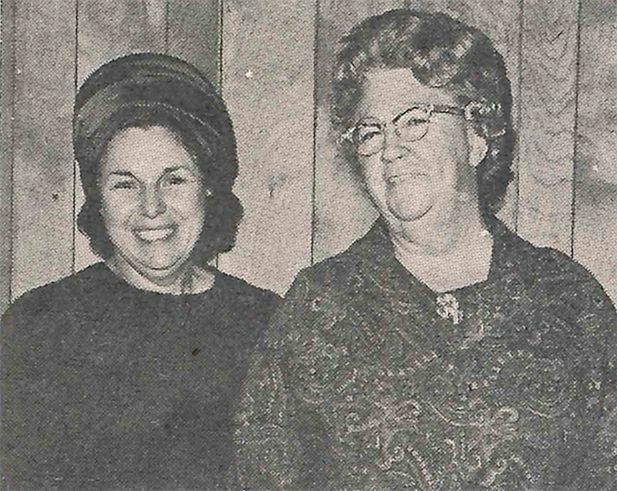 Mrs. Lucille Turner, missionary to India, was pre­sented as the evening speaker. First, she thanked the North Cleveland LWWB for the help which they had given her. “Often they have been a hand reach­ing out to me,” she said. One of the return mission­aries had sent her twenty-five dollars for Christmas, one of the ladies’ circles had bought her a new dress and coat, one lady had given her son a home for the summer, another lady had taken her son into her home while he was in college, the ladies had filled her refrigerator with food when she returned from the mission field, a lady sent money to her when her husband was seriously ill and the doctor bills were enormous. Mrs. Turner then spoke on the verses of Scripture from I Thessalonians 4:16, 17. The audience greatly rejoiced as she declared, “I would like to be in the catacombs of Rome when Jesus comes. When that distinct shout comes, I’d like to see the martyrs by the thousands come out and rise to meet the Lord in the air. But while we are waiting for the trumpet of God,” she continued, “we must be blowing other trumpets. Catholicism at one time had covered the earth, but Martin Luther blew a trumpet-justification by faith. Then the Wesley brothers blew another trumpet-sanctification and consecration.” As she con­tinued to speak, the congregation thought of other great trumpet blowers until they seemed to be com­passed about with a great company of mighty men and women of valour. Mrs. Turner challenged the congregation to be­come soldiers of Jesus Christ. “Missions means war­fare.” She maintained that soldiers of the cross can­not shrink from the cost of war, but that they must be willing to partake of the sufferings of Christ and count not their own lives dear to them. At the close of this great day, the North Cleveland Church of God was aware that the twentieth-century woman of God has much territory in which to blow the trumpet of God and to feed His lambs. This century is woman’s century-“And it shall come to pass in the last days, saith God, I will pour out of my Spirit upon all flesh: and your sons and your daughters shall prophesy, and your young men shall see visions, and your old men shall dream dreams: And on my servants and on my handmaidens I will pour out in those days of my Spirit; and they shall prophesy” (Acts 2:17, 18).